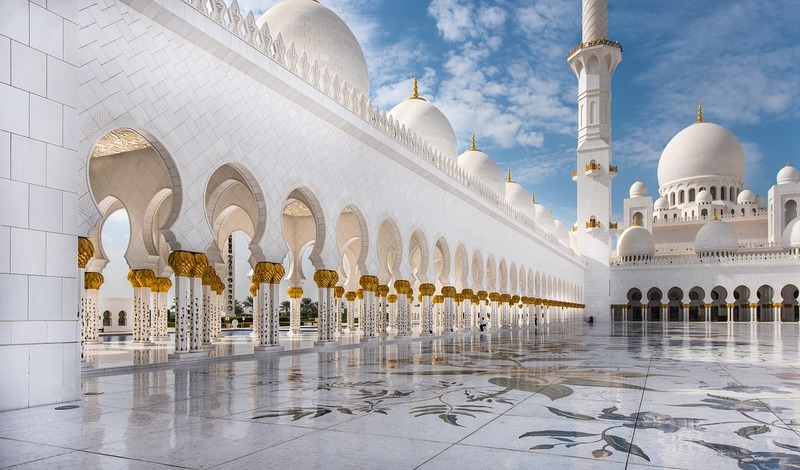 So the building I like Sheikh Zayed Mosque is located in Abu Dhabi, as I’ve already mentioned and it’s the largest mosque in Saudi Arabia. Entire mosque design is gargantuan and exquisite. Capacity of the main prayer area is incredible 7000 people, and the entire mosque grounds are around 41000 people. I don’t know if this is true, but I heard that the mosque has a rug whose size is measured in acres, but in whole numbers. That is mind blowing. Mosque design mixes elements of traditional Islamic architecture with modern design and execution. I love that the entire building is in white, and let’s not forget about the floors both inside structures and in the courtyard. The stone used in the construction of the mosque has been brought in from the finest of quarries in the world. Mosque really is something that you need to visit, see with your own eyes in order to appreciate and take in the full scope of its magnificence. I highly recommend a visit to Abu Dhabi and also to the Sheikh Zayed Mosque.